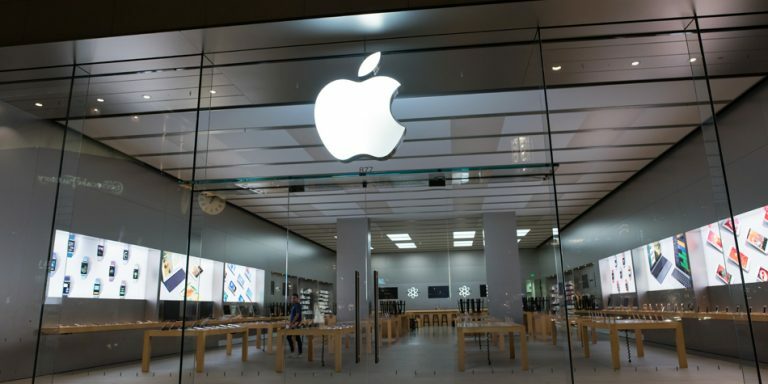 Apple Inc. (NASDAQ:AAPL) is only one of thousands of organizations that have or will report last quarter’s results between late June and early August. But given the sky-high interest in AAPL stock, there’s little doubt that Apple still holds the title to the most-anticipated quarterly report. That’s why things largely felt like they were on hold Tuesday afternoon. Not only were Apple shareholders holding their breath headed into the close, but most investors were waiting to hear the company’s fiscal Q3 results, believing they’re a glimpse into the health of the broad market. If that is indeed the case, then all investors have something to celebrate. The technology giant aced its third-quarter test, and AAPL stock jumped more than 5% in after-hours trading. If the gains stand tomorrow, that would mark new all-time highs in the stock. For the quarter ending in June, Apple earned $1.67 per share on revenue of $45.4 billion. Analysts had been modeling sales of $44.89 billion and income of $1.57 per share, so that comes out to a beat of both fronts. That also represents 18% growth on the bottom line, powered by a 7% improvement on the top line. The company’s revenue breakdown detailed the quarter’s success, indicating a handful of hot spots as well as a couple of not-so-hot measures. Case in point: Sales in China have been lackluster of late, with rival smartphones from Oppo, Vivo and Huawei stealing back some market share (with some help from the country’s government). Chinese-driven revenue rolled in at only $8 billion for Q3, down 9% versus the third fiscal quarter of the prior year. As for the flagship iPhone, analysts were expecting the company to sell 40.7 billion units during the recently completed quarter, down from 42.1 million on a year-over-year basis. Apple ended up only selling 41.02 million of the device last quarter, up 1.5% year-over-year. One of the most-watched items on the company’s recent income statements has been Apple’s Services line. Though it rose to greatness on the heels of incredible hardware, services like digital audio, video and apps for the iPad and iPhone have become a more important piece of the revenue pie. And, that piece of pie continues to grow. Last quarter, Apple’s service revenue was $7.26 billion, up 20% from Q3-2016’s tally. There’s still more opportunity ahead, too. The second calendar quarter of the year (fiscal Q3) generally isn’t a big one for Apple. Sales of its new product launches in the fall of the prior year are usually tapering off, and fans of the Apple’s consumer technology are often holding off on a purchase until they see what the company unveils in late September or early October. Typically, the next iteration of the iPhone garners the lion’s share of that interest, and 2017 won’t be an exception. On the table for later this year is the release of the iPhone 8 — if that’s what it ends up being called — which has already been described as a game-changer, sight-unseen. Whispers of an edgeless display, a 3D-capable camera and wireless charging have all been suggested as some of the key selling points. That said, rumors have surfaced that Apple may postpone the release of the next iPhone. If it looks like it isn’t going to happen in September (and not by choice), the market may well punish AAPL stock not for making a wise decision, but for failing to live up to expectations. Nothing about the potential postponement was mentioned in the news release, though the matter is sure to come up during Tuesday’s conference call scheduled for 5 p.m. ET Tuesday. Apple doesn’t offer earnings guidance, but it did indicate it was expecting fiscal Q4 sales of between $49 billion and $52 billion. That’s slightly better than analysts’ estimates, and could be a clue that AAPL doesn’t anticipate a delay. Analysts are, or were, calling for a profit of $1.81 per share on sales of $49.21 billion for the quarter currently underway. On a full-year basis, that translates into earnings of $8.87 per share of AAPL stock and revenue of $225.47 billion, both of which are better than last year’s figures. It remains to be seen how much analysts’ outlooks will change with fiscal Q3’s data in-hand. But, it’s likely there will be some reworked estimates, particularly in light of a looming delay of the iPhone 8’s launch. Either way, Apple remains one of the most (if not the most) reliable growth engines in the world, keeping AAPL stock one of the most investment-worthy equities the market offers. Today’s post-close advance makes it tough to step into right now, though any decent-sized lull later on could be a buying opportunity. Article printed from InvestorPlace Media, https://investorplace.com/2017/08/apple-inc-aapl-stock-springs-to-fresh-highs-on-a-plus-q3-report/.